Focused exclusively on Asian antiques in its early years, The Golden Triangle has evolved into an 18,000 square foot global design resource. For more than 25 years, owners Douglas Van Tress and Chauwarin Tuntisak have hand-selected vintage and modern furnishings from around the world. 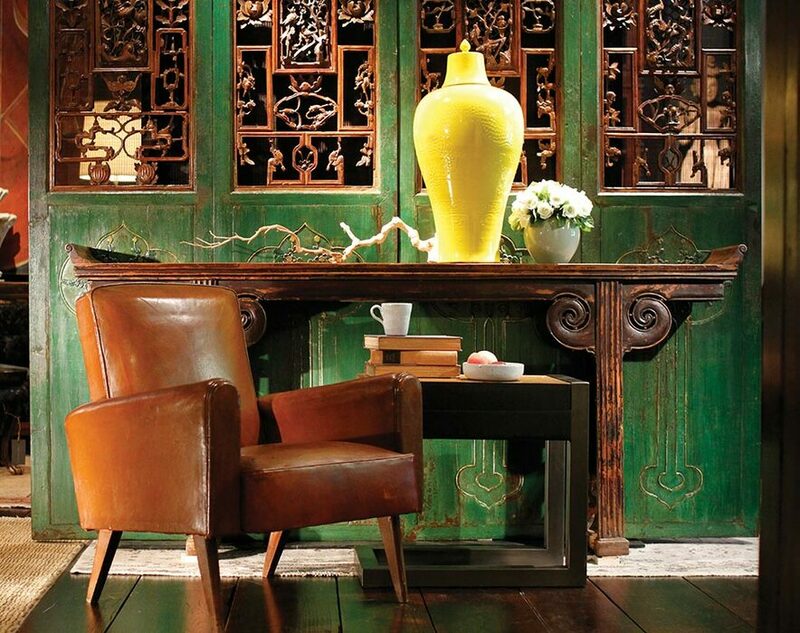 Assembled in curated vignettes, the eclectic mix of Asian and European antiques, artifacts, artwork, lighting, and other accessories prove there are no boundaries or limitations in decorating. From designers and trade professionals, to collectors or simply curious shoppers, The Golden Triangle welcomes all intrigued individuals. The Golden Triangle hosts exhibitions and cultural events throughout the year. Please visit goldentriangle.biz to shop our collections and for updates on special events. Aux In: All In! Amplified What?! What is an Instrument?